Pen and Sword Publishing, 2016. 230 pages + vii, 30 plates, 9 maps, 2 appendices, bibliography, index. $ 39.95, hardcover. Edward Erickson is a professor of military history at the U.S. Marine Corps University. He retired from a long and distinguished army career that included service in senior positions in Europe and the Middle East, in particular Turkey and Iraq. He is one of the most prolific and challenging authorities on the Ottoman Army during World War I. Among his books are these: Ordered to Die: A History of the Ottoman Army in the First World War; Defeat in Detail: The Ottoman Army in the Balkans 1912-1913; Ottoman Army Effective in World War I: A Comparative Study; Gallipoli: The Ottoman Campaign; Ottomans and Armenians: A Study in Counterinsurgency; and Gallipoli: Command under Fire. He has also written numerous articles and book reviews on various aspects of the period. Erickson's body of work on the Ottoman Army demonstrates his skill at comparing inventories and capabilities. His books are always filled with tables, lists, comparative assessments and graphs. He is a master of the quantifiable. 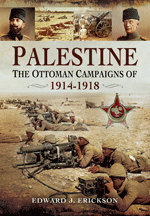 As mentioned in the blurb on the dust jacket, the campaigns fought by the Ottomans against the British in Palestine are often neglected, yet they are fascinating from the point of view of military history and critically important because of their impact on the modern Middle East. Erickson's absorbing account of the four-year struggle for control of Palestine between 1914 and 1918 and the battles for Suez, Sinai, Gaza, Jordan and Syria opens up this little-understood aspect of the global conflict in a strikingly original way: by covering the fighting from the Ottoman perspective. The hundredth anniversary in 2014 of the outbreak of World War I occasioned scholarly conferences and a considerable body of literature. Current historical investigation is more preoccupied than ever with that war. It continues to draw attention and controversy, and is still a dynamic area of research. The passage of time has allowed an engaged detachment to emerge that is a prerequisite for the best scholarship. Unearthing new materials and creatively reading more familiar ones, Erickson applies the normal procedures of the historical discipline, unaffected by the passions and agendas of participants. His previous books on the Ottoman Army provide an excellent foundation for his current and more insightful and in-depth study. After an incisive introduction, the book is divided into eight closely integrated chapters followed by two appendices. The book is organized chronologically, and within each year by themes that cover key military events and developments. The description of each battle is lively and every conclusion trenchant. Contemporary firsthand official accounts on which the author rightly bases his analysis and the shrewdness of his interpretations make these chapters extremely instructive. Through a comparison among Ottoman, British and German sources, the author succeeds in his intent: "to provide the reader with a fresh narrative about these battles and campaign that is absent from the English language historiography." Scholars of World War I who are familiar only with the histories of Britain, France or Germany will find much of value that is new. Although much of this book covers old ground, what makes it not only novel but pleasant to read is Erickson's insight and style. The work conveys a strong narrative line as well as rigorous analysis. Moreover, there are throughout the work fresh perceptives, new information and fascinating asides (mainly from Erickson's reading of the official Turkish histories). Again and again, the author's erudition on a dozen or more topics carries the reader away. Much of the analysis serves to correct misleading work done by those with less knowledge of military affairs. To make the book more accessible to readers unfamiliar with Ottoman history, 30 plates are included along with nine maps. The appendices provide data not readily available in English. Scholars who wish to follow up on any point will find extensive primary and secondary sources in the notes. 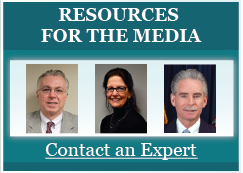 The index includes army officers cited as well as substantive issues. Scholars in a hurry will especially appreciate the crisp summaries ending every chapter, and the conclusion, which briefly recaps each chapter and the book's main arguments. Erickson has based his book on a careful study of Ottoman, British, Australian and American archival sources, Turkish and British official histories, memoirs, monographs and articles written in a variety of languages. He is the first non-Turkish historian to advance a more complete and persuasive analysis of explanation for the Ottoman campaigns of 1914-18 in Palestine. What makes this volume remarkable is his extensive use of the volumes of Turkish official history published by the General Staff Directorate of Military History and Strategic Studies Archive (ATASE) in Ankara. This is the strength of the book, and its justification. They offer one of the best but unfortunately least employed sources of this subject matter. Written in many cases by specialists with early and almost unlimited access to the archives, these are frequently of high quality. The opportunity their authors had to consult individuals who had held key positions no doubt at times led to the smoothing over of criticism, but it also helped illuminate obscure issues and events. Attentive research has yielded a treasure of documentation. However, they are little known outside Turkey because they can only be obtained from the publishing office and are not available through commercial channels. It would be beneficial for these to be provided in electronic form, as they are rarely cited by scholars but contain invaluable material. World War I holdings alone number approximately 10 million documents in the ATASE. The ATASE also maintains a large number of unpublished staff studies on army units (regiments and divisions), written by army officers and based directly on Ottoman war diaries and records held by the archives division. Erickson has mined these skillfully to provide a wealth of detail on both the planning and conduct of the campaigns of 1914-18. Erickson uses his unique familiarity with the period to provide a penetrating analysis of the Turkish strategic posture. While acknowledging the groundwork on the topic laid by the Turkish official histories, including those of Cemal Akbay, Fahri Belen, Şükrü Erkal, Kamuran Dengiz, Kamil Önalp, Yahya Okçu and Hilmi Üstünsoy, as well as the British authors A. F. Becke, Cyril Falls and George MacMunn, Erickson offers corrections and original thoughts. He includes the Armenian rebellion as a military threat, explaining how it competed for resources with the Fourth Army. Presenting the Armenians and the Syrian Arabs as threats to internal security in 1914-15 is a vital point, and connecting the Armenian rebellion with the subsequent Emir Hussein's Revolt might help balance the currently one-sided anti-Turkish view of these events. However, it remains unclear as to why a sizable part of the study is devoted to the conduct of Djemal Pasha, while no space is reserved for his endeavor to provide humanitarian assistance to Armenians. This gap makes it impossible to assess his significance. Ninety-five years after his death, Djemal Pasha continues to evoke passion. In many parts of the world, attitudes towards him reveal much about contemporary political attitudes. A member of the ruling triumvirate of the Ottoman Empire, he was concurrently minister of the navy, commander of the Fourth Army in Syria, Palestine and Sinai from November 18, 1914 to December 12, 1917, and second in the military hierarchy only to Enver Pasha (the acting commander-in-chief and minister of war). He was also governor-general of Syria and western Arabia and the military ruler from the Taurus mountain range to Medina. He ordered an effective relief effort for relocated civilians, as a result of which the vast majority in his zone of command survived. Also taking protective measures to keep Armenians in the city centers, he employed artisans from among them in army factories, preventing as many Armenians as possible from being sent to the desert. Djemal Pasha inflicted heavy penalties on those who mistreated the Armenians during the displacements. Similarly, robbers who assaulted them were severely punished when caught. All in all, during the removal of Armenians he strove to improve their conditions as much contemporary testimony from a wide range of witnesses affirms. Hagop Sarkissian, who changed his name to James Kay Sutherland when he immigrated to the United States, had served as the provincial health-care officer and railway station operative in Aleppo during 1915-18 and was therefore an observer of the events. In his Adventures of an Armenian Boy (1964), Sarkissian provides rare and valuable insights into Djemal Pasha's treatment of the Armenians in Syria. He expresses personal appreciation to the memory of the commander of the Fourth Army, the Ottoman general who was magnanimous toward the Armenians. He refers to him as "a great man," who was "responsible for the saving of half-a-million Armenians in the part of Turkey subject to his control; and consequently, for the large Armenian population flourishing today in Syria, Lebanon and Palestine." He further states that the thousands who later migrated from those regions to Europe and America, himself among them, were indebted to him. Sarkissian came to the conclusion that Djemal Pasha did all that was feasible under the circumstances to give as many Armenians as possible a chance to be saved. In those days, Armenians hated the man, but according to Sarkissian he said, "If the Armenians knew what I have done for them, they would make my statue of gold and erect it on the top of their Ararat Mountain." Sarkissian believed he was right, but, ironically he was assassinated by Armenians (see James Kay Sutherland, The Adventures of an Armenian Boy: An Autobiography and Historical Narrative Encompassing the Last Thirty Years of the Ottoman Empire [Ann Arbor Press, 1964], 146-48). While there are no great revelations, Erickson's book challenges standard analyses, replacing an earlier history by Matthew Hughes and usefully supplements work by Yigal Sheffy. The book continues the perceptive analysis of The Ottoman Road to the Great War by Mustafa Aksakal involving the period before October 29, 1914. It contrasts strikingly in scholarly weight and scope with Eugene Rogan's The Fall of the Ottomans: The Great War in the Middle East, 1914-1920, in which the narrative is descriptive rather than analytical and the sources are restricted to English-language material. There are almost no obvious errata to speak of, with perhaps one notable exception: the absence of the strategic island of Cyprus in the regional map on pages 2 and 16. Cyprus lies at the entrance of the Gulf of İskenderun, its narrow Karpas Peninsula pointing directly at this. British aircraft on Cyprus threatened the gulf and the southern Anatolian littoral coastlines. The island stood handy for the concentration of troops and supplies. A few quibbles: Palestine is not a province but a region in the Ottoman administrative units (p. 1); and the Ottoman order of mobilization was not issued in September 1914 but on August 2 (p. 1). Since the book describes the campaigns from the Ottoman point of view, the Turkish cities of İstanbul, Edirne, İzmir and İskenderun ought not to be written as Constantinople, Adrianople, Smyrna, and Alexandretta (passim). These are minor concerns that do not in any way detract from the book's achievements. Handsomely produced by Pen and Sword Publishing, this will become a standard reference work for military historians and suggest avenues for future research into World War I in the Middle East. It is fervently hoped that Turkish and German translations of the book will be published at an early date.